Located along the Tigris River, Baghdad is the capital and the largest city in Iraq. People consider this city as an important commercial, cultural, and intellectual center of the Islamic World. Now this city is not very safe for travelling but you can access and travel to some part of the city safely. Here you can enjoy seeing a concert at the Baghdadi Museum, taking a boat trip on the Tigre River, visiting historical monuments, and making a day trip to visit Babylon. Bagdad also offers you the opportunity to explore the various street markets of the city and visit the Ottoman Kisqkle area on Friday. 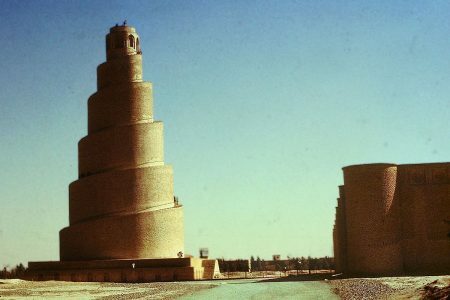 Some famous landmarks in Bagdad may include Cultural Center of Bagdad, Shahbandar Café, Sourp Asdvazazin Church, National Museum of Iraq, Bagdad Museum, Ottoman Castle, Tahrir Square, and Piazza Firdos. Therefore, if you travel to Iraq, then you should visit this city. 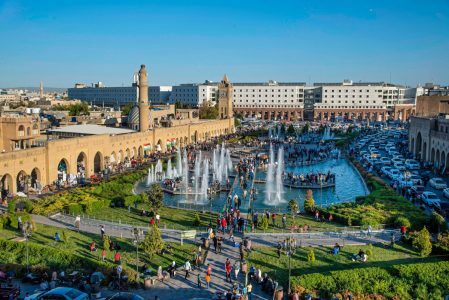 Locally known as Hawler/ Hewler, Erbil is the capital of legal government of Kurdistan region. 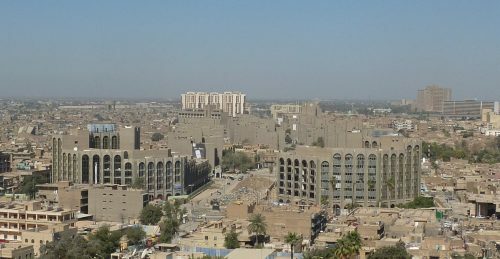 Unlike other parts of Iraq, you’ll find this city relatively safer and more secure. This city is located on a fertile land between two rivers namely, the Lesser Zab and the Greater Zab. In relation to landmarks, districts and large roads, here you’ll find more shops, restaurants and hotels. Good instances of landmarks may include Kurdish Textile Museum, Syriac Heritage Museum, Sami Abdul Rahman Park, and the Erbil Citadel. And for amusing shopping, you’ll find Antiq Qala, Erbil’s souk, Gift Shop, and Family Mall. In Ainkawa, the Christian suburb of Irbil, you can also buy a good variety of beer, wine and spirits at affordable prices. So, to make a safe and comfortable holiday in Iraq, you should head to this wonderful city. Located in central-south Iraq about 160 Kilometers south of Baghdad, Najaf is the capital of Najaf Governorate. 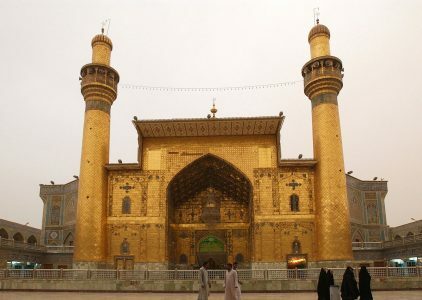 People consider it as the third holiest city of Shia Islam and it’s the center of Shi’ite political power in Iraq. This city is very popular with the people with famous mosques, shrines, religious schools and lots of cemeteries. Some of these tourist attractions may include Wadi Al-Salaam Cemetery, Maytham Al-Tammar Shrine, Great Mosque of Kufa, and Mosjid Hannana. That’s why, if you have curiosity to know the historical places of Islam, you should visit this city. Samarra, located on the east bank of the Tigris in the Saladin Governorate, is a very famous city in Iraq. It’s the merely remaining Islamic capital that retains its original architecture, plan and artistic ruins. In 2007, UNESCO has declared this city as one of the World Heritage Sites. This city is very renowned for its Shi’i holi sites but recently Sunni Arabs dominate it. Here you’ll find lots of archaeological and historical sites. Some of these sites can cite the Great Mosque, Al-Askareyya Shrine, the Caliph’s Residence, Al-Ma’shouq (the Beloved) Palace and Abu Duluf Mosque. So, to have nice holiday in Iraq, you should travel to this Islamic City. Also known as Slemani, Sulaymaniyah is a very young city in Iraq. In 1784, Ibrahim Pasha Baban founded this city to be the capital of his principality. Since then, it has been the cultural capital of Iraqi Kurdistan and home to many famous poets, writers and philosophers. People call it a ‘cosmopolitan gem’ and ‘a place to be discovered’. Here you’ll find many renowned places of great interest and fun. 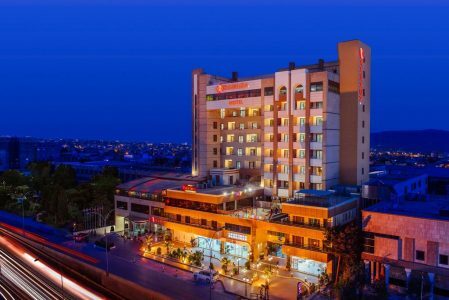 Some of these landmarks may mention Sulaymaniyah Museum, Aram Gallery, Azadi Park, the Zara supermarket, Majidi Mall and family run restaurants for tasty, simple and cheap foods. To drink and stay comfortably, here you’ll also find Iris Bar and international standard hotels. Therefore, it is one of the best places in Iraq for having an extraordinary holiday experience.